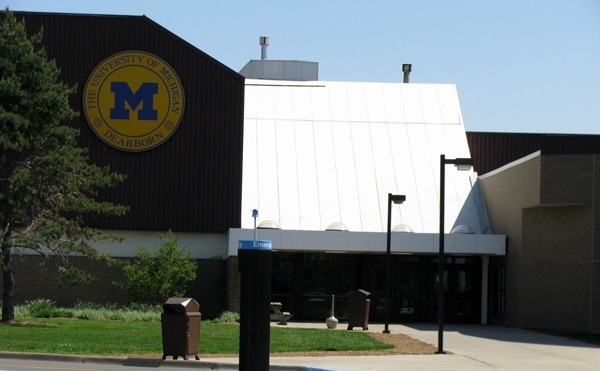 The 2014 softball season has been one of many ups and downs for head coach Scott Combs and his new-look Lady Wolverines of University of Michigan-Dearborn. 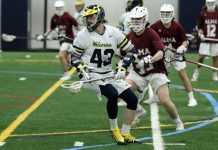 The Dot Richardson and the Tucson Invitational spring games seemed to show a lot of promise for the young Wolverines who have 11 out of their 20 current players under roster for the next two to three years with more than half their team being underclassmen. Experience was one thing that the Lady Wolverines really felt they needed to put an emphasis on. It’s what they got from the spring games prior to the season. 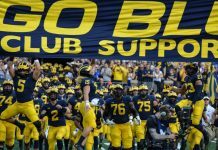 Not only did the spring games give experience, but they came with a lot of confidence. The Lady Wolverines traveled to different locations to enjoy the beautiful spring weather while taking advantage of some significant chances to win. They finished the invitational games with a record of 11-13. “We saw the light; we just had to find our way there,” she said. Towards the end of the Arizona trip, Combs was quoted telling his team that “things were getting scary, meaning that things were starting to come together and good things were going to happen,” said Hollister. During the spring games, the Lady Wolverines saw absolutely nothing but improvement. But as predicted by Combs, things were indeed going to get scary. Mother Nature was going to be the biggest form of adversity that the Lady Wolverines would have to face in the 2014 season. UM-Dearborn was playing some of the best softball in school history until it had to battle some adversity along the road. Just as the Lady Wolverines were getting hot on the field, they were forced to cool down as a result of Mother Nature’s intolerance and refusal to bring forth a shiny forecast with no rain or snow. The beginning of the Lady Wolverines season started with four postponed games, two doubleheaders against Malone College and Madonna University. This not only caused the Lady Wolverines to lose momentum a little bit, but also caused them to continue their season on the road. The chance of hosting opening day at their home field at Ladywood High School in Livonia, Michigan, was lost. The Lady Wolverines started their season where they ended it during the invitational games on the road, this time; they traveled to Livonia, Michigan, to take on the Lady Crusaders of Madonna University in a double header. In game one, third baseman Makenzie Trowbridge was the only player on the Lady Wolverines roster to get both a hit and an RBI for the entire game, as Lady Crusader’s pitcher Bree Crampton threw a gem. She tossed five innings, giving up one hit, one run, and striking out nine in a 9-1 Lady Crusaders win. The Lady Wolverines got more production from their bats in game two. Centerfielder Taylor Mocceri, second baseman Michelle Hollister, left fielder Jessie Thueme, and first baseman Haleigh Horvath all recorded hits. Mocceri and right fielder Valerie Bertani scored the two sole runs for the Lady Wolverines in the second game versus the Lady Crusaders. The Lady Crusaders won 10-2 behind a big 2-2 day from second baseman Emma Cook, who recorded two runs, two hits, and two RBI. The Lady Crusaders are currently on top of the WHAC with a record of (8-0) and (22-5) overall. On Wednesday, April 2, the Lady Wolverines played host to the Lady Golden Eagles of Cornerstone University at Ladywood High School for their doubleheader home opener. In game one, the Lady Wolverines gave up a run in the top of the second inning following a fielder’s choice which scored Lady Golden Eagles’ Lauren Bailey to give Cornerstone a 1-0 lead. The Lady Wolverines shortly tied the score in the bottom of the second following a solo homerun by Hollister, but this would be the only run the Lady Wolverines scored, as Cornerstone would go on to win 5-1. The Lady Wolverines looked to seek revenge early in game two as they jumped to quick 2-0 lead in the first two innings. An RBI-single by Trowbridge scored Michelle Hollister in the bottom of the second. Then in the bottom of the third, Samantha Zarins scored on an error by Lady Golden Eagle first baseman Caitlyn Hartline. 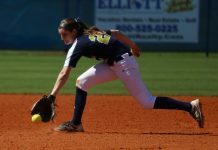 Cornerstone responded with a six-run fourth inning that the Lady Wolverines just could not bounce back from. Cornerstone would go on to win 6-3, and advance to 2-0 in the WHAC and 10-6 overall. On Saturday, April 5, the Lady Wolverines played host to the Lady Panthers of Davenport University. In game two the Lady Wolverines looked to seek revenge on the Lady Panthers for running up the score in game one. UM-Dearborn scored the first two runs of the game on a RBI sacrifice-fly by Jessie Thueme that scored Valerie Bertani. Then RBI-queen Trowbridge came to the plate and grounded out to second base to score Maria Rodriguez from third base. The Lady Panthers came back with two runs of their own in the top of the second, and then scored three runs in the top of fifth. UM-Dearborn really showed growth as a team in this game. 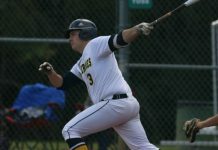 The team fought back and scored three runs in the bottom of the fifth following a three-run home run by Trowbridge to give tie the game 5-5. Unfortunately for the Lady Wolverines, they were all out of fire-power following the two-run RBI double by Lady Panther’s third baseman Paige Sant’Angelo. The Lady Panthers won 7-5 to advance to 6-0 in WHAC and 20-4 overall. Still winless in the WHAC, the Lady Wolverines looked to change that as they traveled to Aquinas College on Sunday, April 6, in a doubleheader. The Lady Saints easily won game one, but game two featured a completely different outcome. The Lady Wolverines left not only all of the Lady Saints fans stunned, but much of the WHAC as well. Behind Paige Altheer, UM-Dearborn took a 5-3 victory in the second game and for its first conference victory for the 2014 season. Bertani played sensational in both games both offensively and defensively, reaching base multiple times on the day, and leading the bats for the Lady Wolverines. Coach Combs put an emphasis on the importance of everybody being ready and doing their part as a member of the team following the victory. The Lady Wolverines believe that this victory is the start of the momentum swing that will turn around their season in conference play. The Lady Wolverines next game is Saturday, April 12, where they will play host to the Lady Warriors of Indiana Institute of Technology at 1 p.m.in a double header at Ladywood High School.